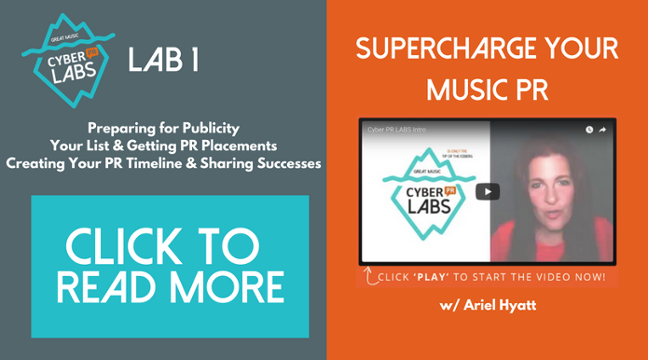 This guide will walk you through what you need to prepare for in generating online PR for your crowdfunding campaign, and show how you can quickly garner targeted new media PR which will give you more assets and fodder to share with your tribe throughout your crowdfunding campaign. “Traditional” PR outlets are newspapers, magazines, and television. I caution you when approaching these for your crowdfunding campaign. Online PR is another story and if you are like the vast majority of crowd funders and you are raising money for a project that is relevant to a smaller niche-focused group (your personal fan base), the most effective PR you can garner is online PR. This means approaching blogs, podcasts, and online tastemakers that are targeted to the niches that will care most about your project. This type of PR is worth your effort if you are launching a larger campaign (10K and above). Traditional journalists are looking for newsworthy items with wide appeal. This means news that is topical and relevant to a large audience and includes an intriguing angle. A campaign has had explosive numbers in a short amount of time (i.e., Amanda Palmer raising a quarter of a million dollars for her album in the first 24 hours). A campaign that has a very interesting or unique story, such as Igor Vovkovinskiy, Kite the innovative and non-toxic patch that keeps mosquitoes away, and POOL+ an innovative urban swimming pool. A campaign that far exceeds its goal and makes history. Note: traditional media might not see this as a newsworthy piece until after the campaign is completed, and the PR will actually hurt your chances of raising more money beyond the goal. According to Wikipedia, out of the top 50 highest netting crowdfunding projects, only one was music-related (Amanda Palmer). Not surprisingly, 19 of them are video game-related as gamers are fanatical, interconnected, and communicate in tight-knit communities online because they operate in multi-player environments. Obviously none of these three cases is a common scenario. Don’t let that discourage you from getting your own PR. This is a specific email that you draft for bloggers, podcasters and new media. Each one will probably have to be somewhat customized depending on how well you know them and what you are asking. This email will be asking bloggers specifically for an interview featuring you, a guest post written by you, or a Q&A with you that includes content relevant to your crowdfunding campaign. A full outline of how to write this is included in my Roadmap at the end of this book. Video is a powerful way to connect to new media makers and many will be more likely to respond if you share a sneak peek of your crowdfunding video with them. Write a one-page bio that is succinct and captivating. I strongly advise avoiding vague clichés. Try making your description stand out. This bio will be about you, or if it is not about you personally, it should reflect the organization launching the project. You may need this if bloggers are going to be interviewing you so that they have something they can easily insert into the article along with your photo and video. 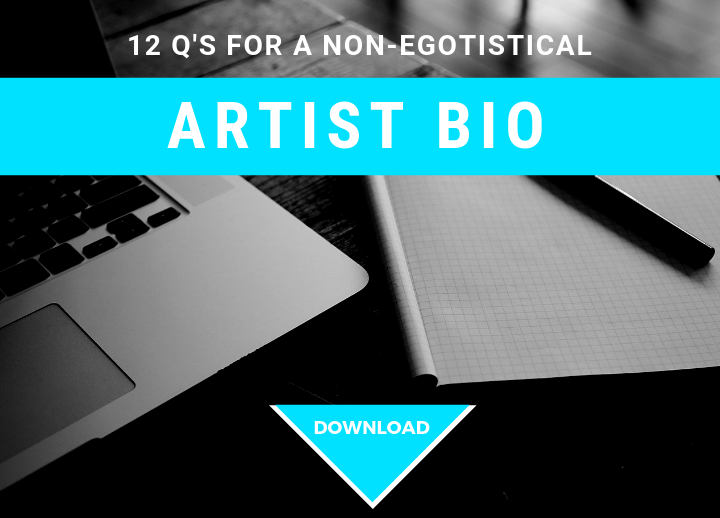 Download my 12 vital questions to ask yourself to write a memorable artist bio/signature story. Try to create a bio with the assumption that the vast majority of people need a hook within the first five sentences. Shorter is sweeter. Now that your three assets are in place, its time to move ahead with new media maker, (blogger and podcaster), outreach. In my case, I went after fellow bloggers and companies who support the independent music community because that is who my project was aimed to help. Come up with at least five online niches to increase your chances of success. Niche examples include music, technology, fashion, travel, health & wellness, book reviews, cooking, and parenting. You can drill down even further here and identify niches that focus your outreach even more, like I did with independent musicians, DIY blogs and artist success blogs. Some cases of more specific niches might be mobile technology, affordable fashion, and singles travel. A Google Search will turn up blogs and other influencers in your identified niches. Once you review each blog, you will become more acquainted with who contributes to it, comments on it, and reads it. To get an even deeper sense of the blogs target audience, look at their Facebook, Pinterest, Instagram, G+ and Twitter communities. This will help you decide if the blog is right for you. Check to see that the blog has a high Alexa Ranking, which means it is relevant and indexed by Google, with significant traffic. To do this, go to Alexa at http://www.alexa.com and type / copy the URL of the blog or site. If the result number is less than a million (1,000,000) and information about the site or blog pops up, then it is a well trafficked site / blog and you should add it to your target list. The site may not have a high Alexa ranking but it could very well have some strong social media numbers (look at their Social links – Twitter, Facebook, G+, and Pinterest are key). If they don’t have either these two assets – traffic or social numbers, move on and find the blogs that do. The possibilities of more people seeing your posts needs to be strong in order to make this PR effort worthwhile. Step 4: Figure Out Their WIIFM? Creating great content that is not only about your campaign, but is also beneficial to the blog’s community is key. This is where the blogger outreach email comes into play. Understanding what will motivate the bloggers readership by directly answering his WIIFM will yield results. For my campaign, I approached each blogger personally via email explaining that I was launching a crowdfunding campaign and I would appreciate it if they could share what I had to say with their own followers and readers. I offered exclusive articles that I knew would appeal to each of their individual readerships. I took these opportunities to share some of my knowledge with each blogger. Then I mentioned the crowdfunding campaign at the end, as part of the conversation so it didn’t look like a giant advertisement for my crowdfunding campaign. Rather, it turned into a multipurpose feature with a mention. Thank the blogger and share the resulting articles with your community on your social channels, and in your crowdfunding updates. Remember: people believe what other people say more than they believe what you say, so sharing the online press support you received is a fantastic way of allowing your community to see that you are getting support. This is how you leverage the digital PR you have received so it adds high value to your campaign. Bloggers can be hard to get responses from. If email does not work, try messaging them on Facebook and Twitter. If you still get no response, assume that they were not interested or they may have a lot of requests coming their way. Many blogs have open call-outs to writers who want to submit their own posts. These are known as “submit your story” blogs. Again, search for your appropriate niche i.e. “Travel”, “Positivity”, “Gluten Free” (choose a niche that relates to your campaign), and “submit your story” list of blogs that take submissions will pop up. Take Note! Make sure that the “submit your story” page on each blog is active and updated regularly. Look to see that the blog is regularly updated with guest posts, or your post may not go live in time. Like this advice? Then you will LOVE the whole CROWDSTART book – Come download a free chapter here.